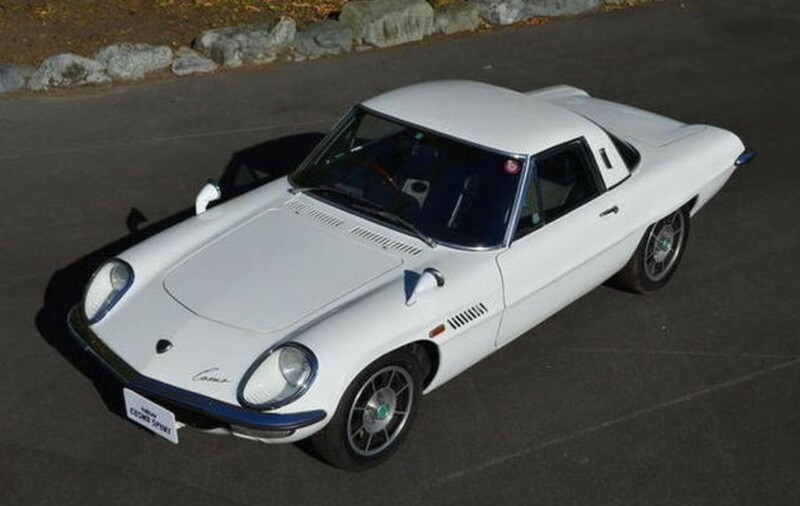 Race cars notwithstanding, you’re looking at the most collectible Mazda ever built and one of the most lusted after Japanese sports cars of all time. Mazda didn’t build its first cars until 1960 but only a few years later in 1967 they would introduce the Cosmo, a true sports car. What’s even cooler is that this is the genesis of Mazda’s long history of rotary power. All of the RX-series cars can trace back to this, which was the result of Mazda acquiring the rights of NSU’s Wankel powerplant. It’s a 982cc twin-rotor Wankel making 128 horsepower. The Cosmo was called the 110S for export and the cars were never officially sold in the U.S. They were built in two series, the L10A being the first and the L10B (offered here) being the second – horsepower was the big difference. The Series II L10B were sold in higher numbers between 1968 and 1972 with 1,176 built. This car spent its entire life in Japan and had its mechanical bits sorted in 2011. It is being offered for the first time outside of its home country and will likely cost the new owner between $140,000-$180,000. Click here for more info and here for more from this sale. This entry was posted in Uncategorized and tagged 1970, auctions, Bonhams, cars, classic cars, cosmo, coupe, l10b, mazda by classiccarweekly. Bookmark the permalink.